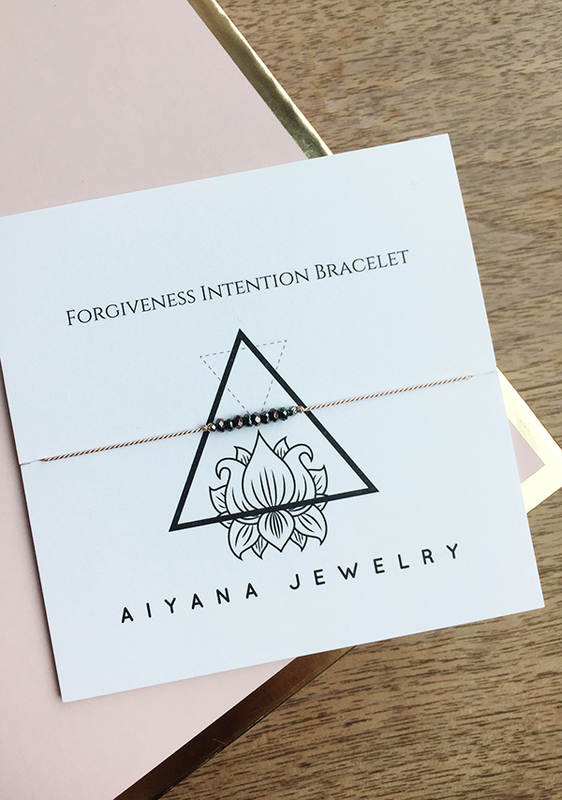 If you believe that things happen for a reason, then my introduction to Brittney of Aiyana Jewelry was fate. Her incredible journey of recovery from Late Stage Lyme Disease is a shout out to everyone looking for the next best thing while neglecting self-care practices. We are all striving to make our mark but only seem to stop when our bodies fail us. Picking yourself up again is a challenge you often face alone. For Brittney, the illness consumed her life as she spent years in and out of the ICU and trying treatments all across North America in an attempt to keep herself alive. She lost loved ones and was consumed by PTSD, grief and depression in the aftermath of it all as the world she left behind on her healing journey was no longer the same when she began to recover. After a major nervous breakdown, she channelled all her strength into learning how to walk again. 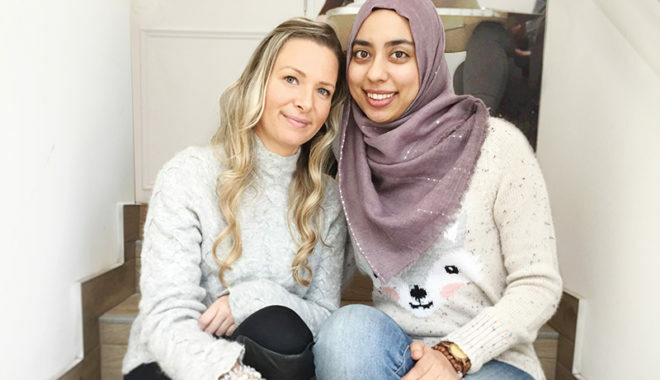 She found a way out of the darkness by meditating, praying, developing a spiritual practice, strengthening her mind, and continuing with her educational passions. 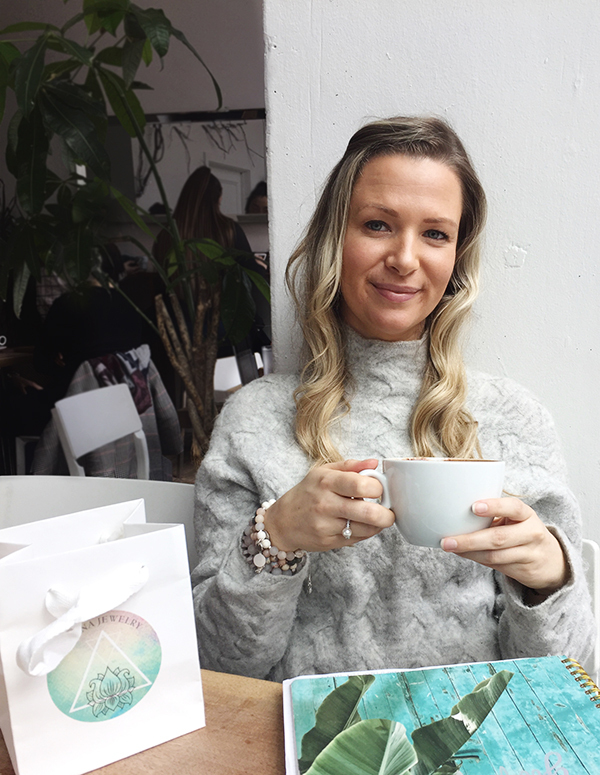 Read up on her moving story to further understand why she makes intention jewellery and how it became a self-care practice. Let’s start from the beginning. How did you get started making jewellery and how has it healed you? A dear friend, the owner of Frederick Prince, would bring me jewellery making supplies when I was in critical condition and bedridden. It started with making basic friendship bracelets with string. I began making bracelets for my family, friends, caregivers, nurses and staff that were helping me at the time. I realized just focusing on tying the knots allowed my mind to focus on the detail involved with each one. It gave me joy by bringing me back to childhood. It also felt so good to see the end product and be able to give something to those who were giving so much to me when I didn’t have much to give. From friendship bracelets, I began to notice my own jewellery collection and wanted to learn how to make them myself. So I began looking up what supplies I would need and ordered them online from my bed. When I received them I would play with the materials and see where that took me. I began to look forward to making pieces and seeing the end result. Moving forward from your illness, what is your outlook on life? What are you surprised to learn about yourself? For me, moving forward from the illness meant changing the way I looked at everything. I no longer take anything for granted. I know that things can happen and change very unexpectedly – having no control over your body teaches you to value your health and your body’s capabilities. The years prior to my illness, I lived milestone to milestone – trying to achieve the next best thing. Now, I try to focus as much as I can on everything in-between and all the details – what it smells like, what it looks like, what it feels like. I don’t want to miss all the little miracles that happen daily because I almost lost the opportunity altogether. I have very little tolerance for drama and the worldly things I once put so much emphasis on. What message or advice would you give to people who are living a fast-paced life with too much on their plate? Your body is not a machine, it’s a home that we’re temporarily renting. Nowadays there is so much emphasis on outside appearances and many people are neglecting their body in the meantime. There are repercussions to how we treat ourselves. People are living life at such a fast pace that they are not capable of maintaining and sustaining. It’s often not until we hit a major crisis that we stop and realize. It doesn’t have to be that way. I believe there’s so much emphasis on “take action” and “you can create the life that you want.” You can absolutely create the life you want, but at a pace, that’s sustainable for you. I believe trust is so important and asking for help. Before I became sick I refused to ever ask for help. When I was at my worst, accepting help with basic tasks was very uncomfortable for me. You don’t have to carry the weight of the world on your shoulders alone. Part of taking care of yourself is being honest with yourself and recognizing what you can and can’t do. Being honest and true to yourself is so important. How does mindfulness work with jewellery designing? How it really became a mindful practice for me was for the first time in a long time, my body and mind were aligned and focused on a task that didn’t involve forcing my body to do something it was resisting. What I was focusing on, was what I was physically doing and was then able to see the end result. I was in a therapeutic meditative state, where all parts of me were aligned when I was making jewellery. It was as if time folded in on itself. That was something that had become foreign to me with everything that had happened, as it almost always felt like my mind and body were no longer aligned as my body would do one thing when my mind wanted something else. What does self-care mean to you? What is a self-care practice you are doing right now? To me, self-care means checking in with your needs regularly and making sure they are being met – physically, mentally, emotionally, and spiritually. A self-care practice I aim to do regularly is spending as much time as possible in nature. The smell, the sounds and just the feeling of being present in a natural environment grounds my overactive mind and has a profound healing effect for me. Eating properly is also really important to me, along with taking time for myself to reflect. I also put a lot of emphasis on my morning routine – beginning the day with journaling, meditating and drinking tea. I try to be present when doing these rituals because it really sets the tone for the day. I know what it’s like to be in a dark place; not knowing where to turn or what the future holds. Ultimately, throughout the most challenging times I was seeking support and hope. 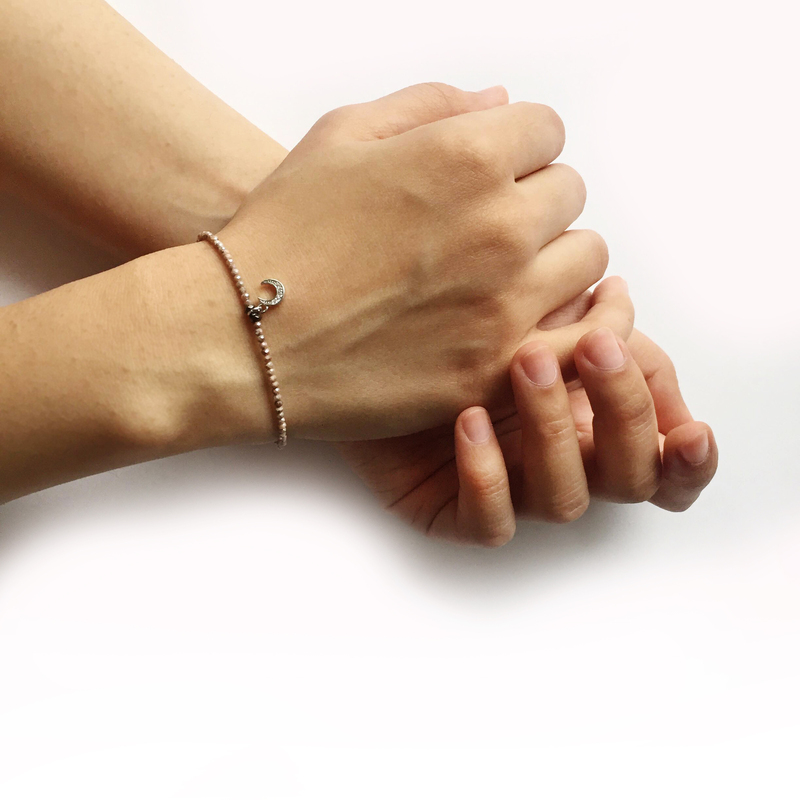 My hope is that my jewellery will provide strength, comfort and hope for the wearer no matter what they are facing in life and on their journey. Helping others in any way gives meaning and purpose to what I do. It is fulfilling and rewarding knowing you or your jewellery have had a positive influence on someone’s life. 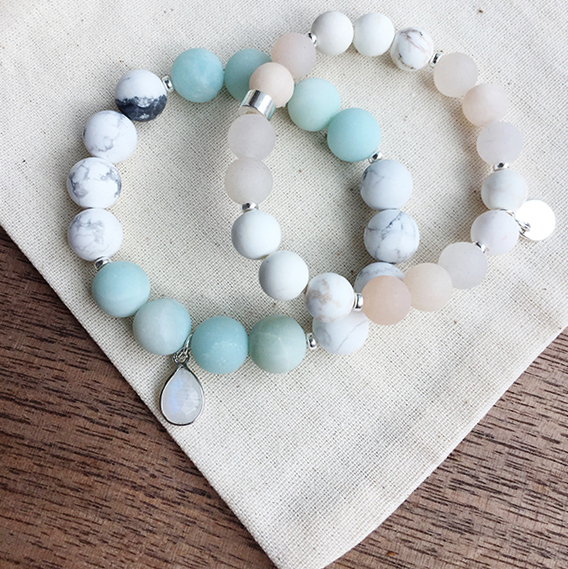 As someone new to intention jewellery, can you tell me more about that? When I source stones, I usually always sage them first to energetically clear any negativity or low frequencies from them. As I do so, the stones are able to hold any intention that is being put in them while they are being made. I must ensure that I’m in a good place so there is no negative energy being passed on to the wearer through my pieces, as stones also hold energy. Sage scientifically has even been proven to help kill viruses and bacteria, which is why I choose sage at the beginning of the creative processes. Neuroscience is one of my big passions and studies. It was through neuroplasticity techniques as well as the power of belief and intention that I was able to get from wheelchair to walking again and off of oxygen. Witnessing other people heal themselves of the impossible proves how powerful belief and intention can alter the entire chemistry of your body. My favourite stones to work with are river stones. They are present in a lot of my pieces because I resonate with the energy they evoke. River stones are known to open up the flow of life so that it may easily move through. Which also in a way signifies my road to recovery now that I think about it. I actually just made that connection haha. What are you working on right now that’s going to be really exciting for you this year? Without giving too much away, I’m in the process of transforming Aiyana which is very exciting. It will be growing and expanding into a much bigger and broader spectrum. I will be sure to let you know when I am ready to launch the transformation. What I’m super thrilled about right now is that I’m writing a book! The book is about my journey and what I learned along the way. That’s all I’m able to share right now without giving too much away. But its definitely juicy and full of lots of twists and turns. After our chat, I felt I had made a true friend. I was able to share a major life event with ease. Brittney understood what it meant to struggle, how to overcome roadblocks and move forward.